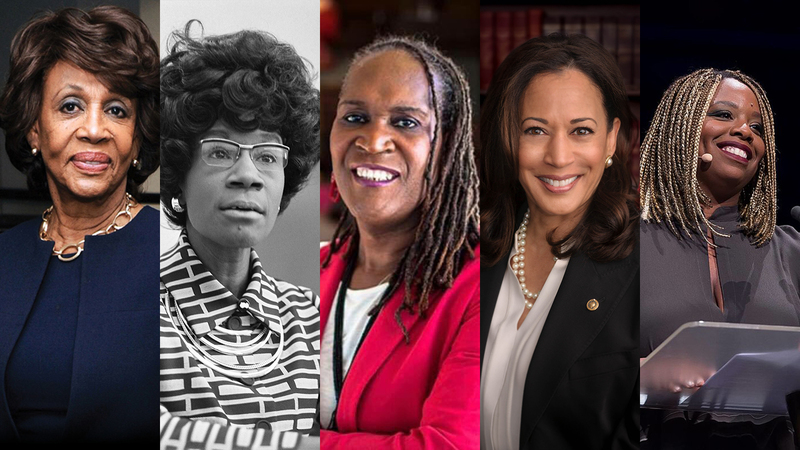 As Black History Month draws to a close, and we turn toward Women’s History Month, HRC is highlighting the political and electoral power of Black women. From leaders like Diane Nash and Rosa Parks, at the heart of the civil rights era, to Alicia Garza, Patrisse Cullors, and Opal Tometi, the founders of the Black Lives Matter movement, Black women continue to be integral forces for change. Trailblazer Shirley Chisholm, the first African American woman elected to Congress, paved the way for today’s warriors like Sen. Kamala Harris (D-Calif) and Rep. Maxine Waters (D-Calif.), who consistently advocate for LGBTQ people at the local and federal level. These incredible political leaders remind us that the fight is far from over. In her speech at the 2017 HRC National Dinner, Sen. Harris reminded everyone of the urgency of the fight for equality. Rep. Waters is considered by many to be one of the most powerful women in American politics today. We are honored to have her speak at the HRC Los Angeles Dinner on March 10. With her election to the Minneapolis City Council, Andrea Jenkins, became the first openly transgender Black woman to win public office in the U.S. in November last year. Just one month later, Alabama showed the nation the power of Black women voters. Nearly 100 percent of all Black women voters in the special U.S. Senate election cast their vote for civil rights prosecutor Doug Jones. They were a key component of his victory over Roy Moore, the bigoted anti-LGBTQ politician twice ousted from the Alabama Supreme Court for ethics violations and recently accused of serially preying on teen girls. With groups including the NAACP of Alabama and Power of the Sister Vote, HRC helped mobilize equality voters to secure the election of Jones over Moore. There are more than 500 Black women running for office this year, according to the online database “Black Women in Politics” that compiles information about races from the local to federal level. Black women have been too often overlooked in history books, absent from many of our narratives about the fight for equality. HRC is proud to highlight these incredible women -- just some among many of the justice warriors without whom our movement would not be possible.